← September 2, 2017: Informing and Updating Dark Matter Fans! 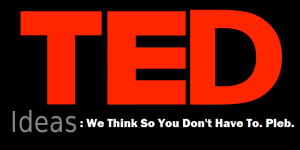 To my vast disappointment I recently learned that TED talks are evil. They are engaged in extreme censorship. And that would be bad enough, but they also act like a cult. “Scientology summer camp“, one former TED fellow described the experience. Cult psychology is one of my specialties, usually for its application to military recruit indoctrination. At least I can still have an interest in TED for the purposes of a case study. I may even get a paper out of it. And a libel suit. But I doubt, however, I’ll ever be allowed to give a TED talk on corporate influence or faceless ivory tower censorship.